A Colorado School of Mines professor has been awarded funding from NASA to develop the highest-resolution 3D images ever of what lies in the interior of Mars' polar ice caps. "Just like on Earth, the ice caps are witnesses of the climate on Mars — it's a bit like observing tree rings," said Paul Sava, professor and Green Chair of Exploration Geophysics with the Center for Wave Phenomena at Mines. "Tree rings reflect the climate at the time when they were laid out. The same thing happens with polar ice. 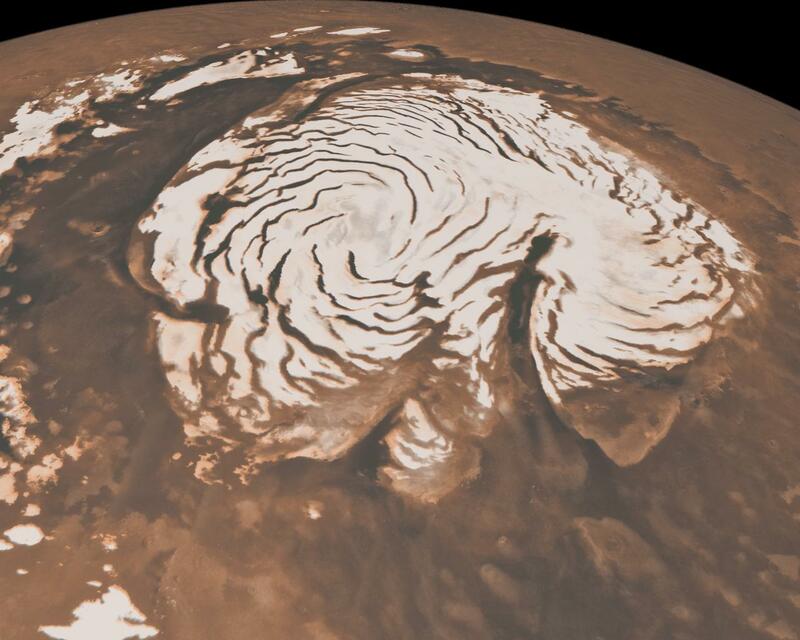 By imaging the ice cap internal structure, we'll be able get insight into the broad evolution of climate on Mars. Using these images, it will also be possible to study meteorite impacts fossilized inside the ice, whose distribution and size provide additional clues about the Mars climate evolution and timeline." Sava will receive $500,000 in NASA funding over the three-year project. To generate the high-resolution images, Sava and his team will use data from the Mars Reconnaissance Orbiter Shallow Radar (SHARAD) instrument, which has been orbiting the red planet and gathering scientific information since 2006. The 3D processing techniques previously used with SHARAD data have provided great insight into the structural richness of the polar ice caps, but did not achieve the best possible image quality, Sava said. "We're not going to change how we collect the data, but we'll change how we process and image the data," Sava said. "We will take 3D processing of SHARAD data to the next technological level by employing new resources and state-of-the-art technology developed in the context of terrestrial seismic imaging that is capable of significantly improving the resolution and clarity of the 3D interior image volumes." In addition to providing valuable insight into Mars' climate history, the high-resolution images could also be of use to those interested in developing space resources to fuel future exploration of the planet. "Access to water as a natural resource is crucially important for exploring and colonizing Mars," Sava said. "We know that the ice is there-we don't need to explore its interior for that-but the more we understand its interior structure, the better we can characterize the Mars water cycle and its distribution on the planet." Photo credit: NASA/JPL-Caltech/MSSS. This image, combining data from two instruments aboard NASA Mars Global Surveyor, depicts an orbital view of the north polar region of Mars. To the right of center, a large canyon, Chasma Boreale, almost bisects the white ice cap.